In March, You Pitch! 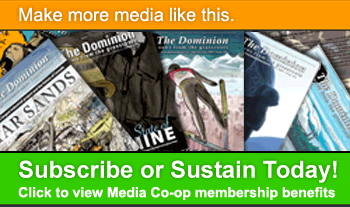 Write for The Dominion this month! It seems that every February comes with the feeling that the old guard is crumbling and new energy is lurching. Fires are lit and the grassroots transmits. 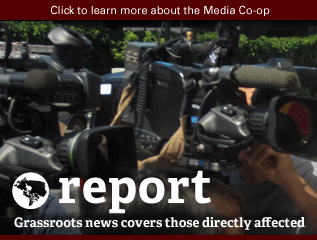 We need you to keep uncovering the stories! Pitch for the May/June 2014 issue ofThe Dominion. Talk to us about environmental regulations, systemic racism, surveillance and harrassment, safer spaces or migrant justice actions! Whatever the issue, we want to hear about it from you. We can pay for two news stories at $100 a piece this time around. If you're interested in writing for us, you can submit your pitch online here. We accept several articles every month; two of which we'll pay $100 for. We also offer in-kind payments like subscriptions and online advertising. 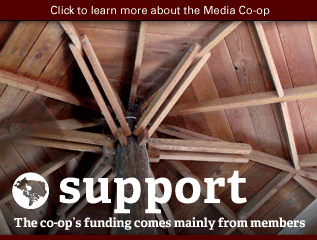 Accepted articles will be published at mediacoop.ca, and most will also be featured in The Dominion, our bi-monthly print magazine. 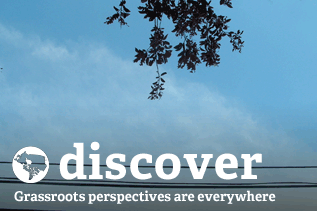 We accept stories of national interest, including those about Canada’s role in international affairs. If it's an international story, tell us what the Canadian angle will be. If the story focuses on a particular city or region of Canada, tell us why it's of interest to a national audience. Priority will be given to articles that are evergreen and will be of long-term interest and value to our readers. Bear in mind pieces go through several weeks of editing before publication. 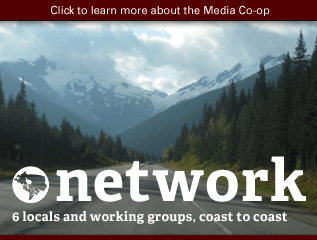 Pitches are welcome from anyone, with priority for payment going to our contributor members (those who have previously contributed to The Dominion or the co-op. Contact us for more info about membership). Please read over past content to get an idea of what we publish. It’s also a good idea to make sure you’re not covering a topic we’ve recently covered, unless there is a new angle or update. 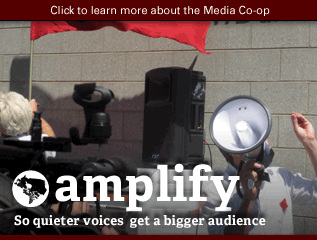 Consider what other media has covered the topic you are pitching and from what perspective. Be sure your pitch is news-focused, rather than opinion or academic. We like both of those forms, but they’re not what we publish. Think about your sources and interviewees—this is something we consider seriously when reviewing pitches. We have a fairly extensive editorial process, with two editors assigned to each piece, plus fact-checking and copy editing. Please only pitch to us if you are open and available to work with us through this process. We prioritize pitches that incorporate reader suggestions, which can be found here. 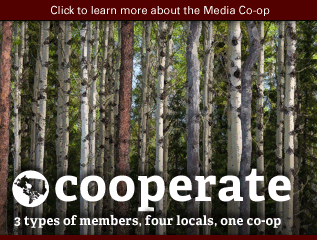 ▪ Set up a Media Co-op account (if you don’t already have one) here. ▪ New to journalism? No problem. 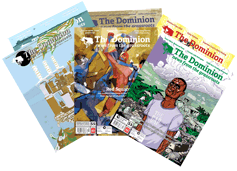 Check out our writer’s guide for more information about writing for The Dominion. 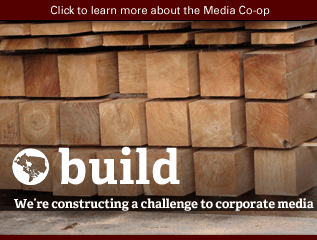 ▪ Peruse the Media Co-op discussion page for story ideas. ▪ Click here for info about making a video pitch. Questions about pitching a video news clip?Contact us. 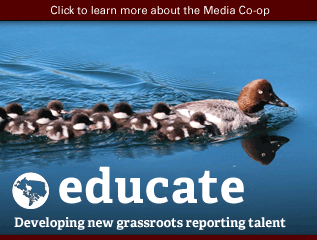 Editors reserve the right to suggest changes and edit stories (with your participation, of course!) Pitches should capture the content, tone and style of the story you plan to submit; if the content submitted differs significantly from the pitch, editors reserve the right to withhold payment. We accept pitches at any time, so if these deadlines don’t work for you, please consider contributing at a later date. Know someone who should be getting this email? Send them this link to sign up: http://mad.ly/signups/83345/join.